DVSA’s frontline enforcement staff are out in all weathers, all times of the day, keeping Britain’s roads safe. They do a tough job and they do it well. But even though they do vital work keeping motorists and their families safe, they sometimes receive abuse from the drivers they stop and penalise. You might think this is just part of the job, but we disagree. That’s why we decided to trial the use of body cameras on some roadside enforcement checks. You may be surprised to know that since 2016, abuse against our staff has risen by over 50%. I’m sure you’ll agree this is unacceptable. While the majority of people we see at the roadside are polite and considerate, a small number can be aggressive and threatening towards our examiners. These people can have a serious effect on our staff, and they give lorry drivers a bad name. We’ve resolved to do everything we can stop them. Body cameras are exactly what you might imagine they are. They’re small devices, about the size of a mobile phone, usually worn on the chest, which record video and audio, much like a personal CCTV device. The police have been using this type of cameras for a number of years. More recently, traffic wardens have started using them. So far, using these cameras has been a success. They’ve allowed us to capture and deter abuse against our enforcement staff, including physical violence and verbal aggression. I did not actually have to switch the camera on, but I had a driver who was a bit volatile, for example, raised voice and arms flailing. I pointed to the camera and warned him that I would switch it on and record if he did not calm down. This was enough, as he curtailed his behaviour straight away and I didn’t have any further problems with him. So the mere threat of recording did the trick! Of course collecting large amounts of video does raise concerns around people’s privacy. We’re very sensitive to these concerns and take them very seriously. When we use body worn cameras, we have strict guidelines about what happens to the footage. As with all organisations who use CCTV, or in fact any data, there are laws which say what we can do with the video. This makes sure we always follow the rules when collecting, processing or storing data, including video. We’re looking at making the use of body cams standard across all DVSA enforcement staff, but we need to run another trial before we do so. They're now going through further trials, and we hope their introduction will make our roads a safer environment for everyone - including our staff. As ever, please feel free to leave your feedback in the comments section below. 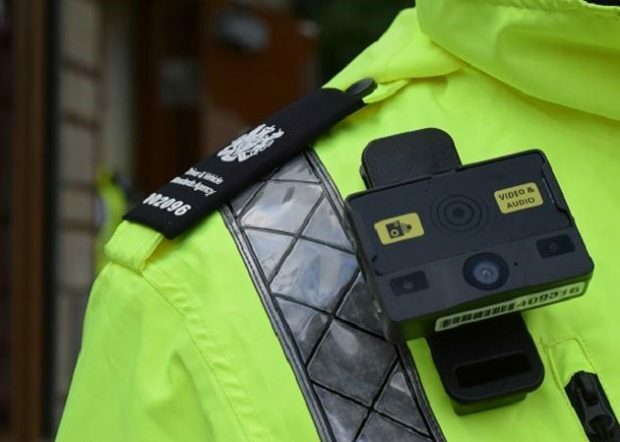 Something of interest in this debate is that some Police Forces have now started to accept suspect interviews which have been conducted via Body Worn Cameras as evidence in summary cases. Obviously correct PACE interview procedures need to be followed but this is an interesting development which could be of future use to enforcement staff when conducting investigations at the roadside. But if we are not allowed wireless cameras in an mot station will they be allowed inside? Targeted enforcement leads to more activity with those seeking an unfair advantage. The increase stated is probably a result of the wider success in DVSA strategy. Whilst its a shame body cameras are necessary, I applaud the approach and obvious results being delivered for our industry and the safety of all road users. You usually find that those who are aggressive have something to hide and the aggression is caused by the fact they have been caught out. Carry on the good work roll it out as soon as possible. First of all let me state NOBODY should be threatened with Violence for doing their job, but if you have a volatile person the Officers attitude can have a lot to do with it some DVSA staff and drivers can be arrogant put the 2 together and a volatile mix, but you get people that are good with people and some that aren't. But on the whole it is a shame it is needed but nowadays it is a must if you are polite then the camera can't catch you doing anything wrong. defendant's too, if any proceedings follow. a legal requirement on all vehicles, and will be part of the MOT to ensure they are working. I can’t help wonder why they have seen the increase in threatening behaviour, why the sudden change in attitude toward enforcement staff? Sadly, it seems sensible to use them in this day and age. However, I do feel that they ought to be used to capture the totality of the conversation and not just be turned on when the enforcement officer feels it appropriate. As a parallel, the police welcome dashcam footage etc being uploaded to their website, but they require the whole sequence including prior to an incident. If the objective is to ensure a successful prosecution (or driver conduct hearing) I wonder if DVSA could address this? This is good news and I'm sure that as word gets around we will see a decrease in the amount of verbal aggressive and physical violence threats towards people who are doing a worthwhile job. that we can all work & travel safely.